Missouri-born and California-bred Misty Copeland went to Cuba last month to offer up a bit of her prodigious gift. The plan was to go down there as part of a sports envoy program, where she’d hold a workshop with young dancers and interact with professional dancers in Havana. It would be the first time that the U.S. Embassy in Havana has partnered with the Cuban Ministry of Sports. Copeland did all of those things, but it’s what Cuba gave her that’s so front-of-mind. For five days, America’s most famous ballerina immersed herself in all things Cuban: A foodie, she even learned to make a few dishes at Paladar HM7, a hot Cuban restaurant. We chat about her social media dominance, the culture that shaped her, the impact she’s making on pop culture and how soaking up Cuban culture may very well change her. What social media tribe are you in? I definitely tend to be heavier on the Instagram side. I’ve learned the benefits of having a presence on all of those platforms — Facebook and Twitter and Instagram. But for me, being a visual artist, it’s so powerful to have a presence on Instagram. To be able to show beautiful imagery, through just one picture, is really, really incredible, especially when you go through Instagram and you see so many different pages, and you see what influences our youth today. And so much of that I think is really negative. To be able to flip through and see the image of a ballerina — hard work, an athlete, muscles, it’s positive — and everything I stand for. Oh, my gosh! This is hard. I grew up watching Sister, Sister. The Warriors! My husband is from Oakland — and I grew up watching them. I connect with them on so many levels … being an underdog, working from the ground up, finally getting that due respect, earning their position, and being true warriors. Who’s your favorite follow on Twitter? Favorite song to sing at a karaoke bash? Probably something that I can’t really sing, but maybe a Mariah Carey song. Maybe Dreamlover. That one’s not so hard. It’s not like Hero or something! Where do you get your fun news from? And where do you get your serious news from? I’m a big fan of BBC and CNN for serious news. I’m also a fan of HuffPost, I think, for things that are more pop culture. What’s been your best experience in Cuba? It’s hard to say … Every day has been something different. The art and dance and culture is so rich and deeply rooted in the Cuban people that’s it’s hard to just pick one. 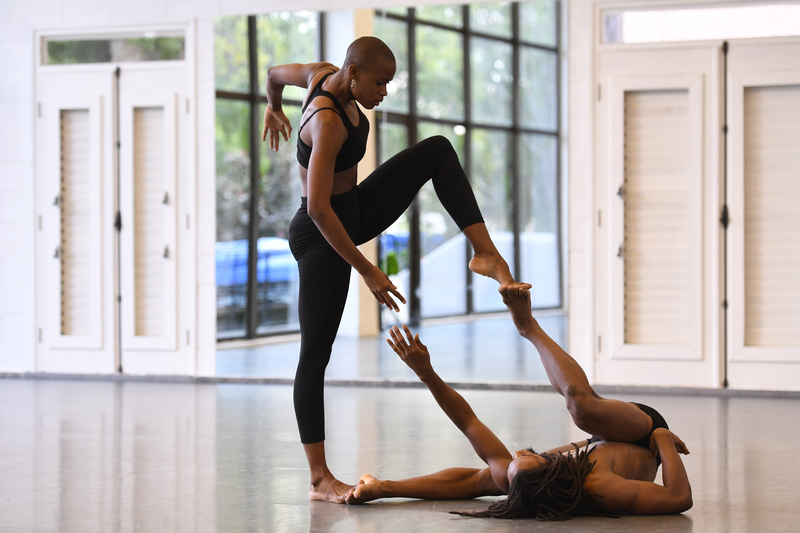 I wasn’t really expecting to have such an emotional connection and experience, but being at Lizt Alfonso Dance Cuba and seeing part of the company and a lot of the children, it kind of just brought the trip full circle … to connect with the youth, to give them an example, show them the experiences I’ve had through my life’s journey as an African-American, and being a part of classical ballet. But to witness what they do — the flamenco and Afro-Cuban and classical dance, they showed me their movement — it was a beautiful thing to witness and kind of marry all of our traditions together as Americans and as Cubans. 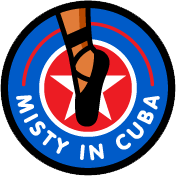 Dancers at the Lizt Alfonso Dance Cuba perform for Misty Copeland. What you will take back to the States with you? No matter where you are in the world, if you’re a dancer, you don’t have to speak the same language. We can communicate through the vocabulary of dance, especially classical ballet. But to experience the integration … of the kind of flair that the Cuban people add to whatever they’re doing, but especially classical ballet, it’s been such a beautiful thing to witness. Because you think of classical ballet as this very pure art form, and pure technique, and then they’re adding this very sensual, rhythmic flair to it … I’ve been kind of able to catch on in some way. It’s been a learning experience, and something I will hold with me forever. What’s surprised you the most about being here in Cuba? The way that dance is so much a part of everyone’s lives. It’s not just this small cultural thing that happens in certain dance studios … it’s in the blood. And it doesn’t matter what form of dance, everything just seems to kind of marry and come together. It’s hard for classical dancers, when you train as a classical dancer your whole life, to be able to do other forms. So to see these dancers that can do anything, that’s … an incredible thing. They take their dance seriously here in Cuba. So much so that the dancers are amongst the highest paid in the country. What does that mean for you to be in a country that values your profession as much as they do in Cuba? It’s incredible. And I mean, you can see it in the structure of their education system. The fact that they understand the benefits of the arts, I think that the United States could learn from that. That it really helps to create a whole person. Not everyone learns in the same way. Like for instance, myself, being in school, being in a public school, I wasn’t reaching my fullest potential by sitting in a classroom and being told to memorize something, or to read this line out of a book. My brain didn’t work in that way. I was a visual learner. I needed to understand with my body and to learn in that way. I think children can benefit just using so many parts of their cognitive skills and through the arts. So it’s beautiful to see that that’s valued here from a young age, and then the child can make the decision at whatever point if that’s what they want to do or not. But having sports and arts really be a vital part of the education system is incredible. Misty Copeland works with the students at the National Ballet School in Havana. Your Under Armour campaign was major. It really tapped into the idea that everyday women want to tone and sculpt their bodies are looking to cardio barre, yoga, Pilates — things that you do. The beautiful thing about what [CEO] Kevin Plank at Under Armour really understood was … showing the behind-the-scenes of what it is to be a dancer. And giving people an idea of the hard work that goes into it, and that comparison to being an athlete. And I think that especially in the States, it kind of opened a lot of people’s eyes, seeing that commercial. Like, ‘Oh, it is really difficult! They’re not just prancing around in a tutu!’ It was such a powerful campaign … just showing that women can be athletes. Women can be powerful, women can be strong and still be feminine and beautiful … it’s beautiful to have muscles and to be powerful and to be able to support yourself and it doesn’t mean you’re not a woman. It doesn’t mean that you’re not a lady. And I think that it’s also showing that a ballerina’s body is something that really takes years and years to build. It’s not built from having an eating disorder. It’s not built from … all of these stereotypes that people attribute ballet dancers to having. It’s the exact opposite, you know? You have to fuel your body with food to look this way, and I think that it’s a beautiful thing that the barre exercises and classes have really caught on. You once wrote about what you learned watching Steph Curry play. What is it that you hope Steph Curry learns from watching you do what you do? Oh, my gosh! That’s hard! I don’t want to criticize Steph in any way, because I think he’s one of the most incredible and unique athletes I’ve seen in my time. I think something that we strive for, as dancers, is consistency. But I think that’s something that makes him so special … you’re not always going to get that consistency. So I don’t know that I would consider that a weakness but something that’s a unique strength of his.